Week 5 now of our digital technologies module and our session introduced a new topic to me which are known as Ebooks. The Oxford Dictionary defines ebooks as “an electronic version of a printed book which can be read on a computer of a specifically designed handheld device”(BBC,2012). Ebooks is a great opportunity for pupils to engage with literacy through a wider range of different texts. According to Jarvis, eBooks have so many more technological features that media such as newspapers or books will never have (Jarvis,2015,p.146-7). Ebooks are a great idea as for pupils they are small and easy to move around as the devices they have been created on are portable. From a teachers point of view Ebooks would be beneficial in the classroom as they would be able to use in a variety of different areas and environments. Ebooks link closely with Beauchamps point of view on personalisation. ICT gives pupils an opportunity to express their feelings in a different range of ways. Ebooks gives pupils the opportunity to jot down new ideas and add sounds or music to bring it more to life(Beauchamp,2012,p.101). Ebooks allows pupil a chance to change a text up by adding different pictures or how the pages go in order and how the text is set out(Jones and Hafner,2012,p.12). In comparison to multimodal texts, Ebooks falls under the category of a multimodal text which can be digital. Todays task was to recreate a children’s book and bring it to life putting your own spin on it. We had to use the book creator app and was a very simple way to make our very own ebook from scratch using the iPad. We focussed on the book we’re going on a bear hunt. 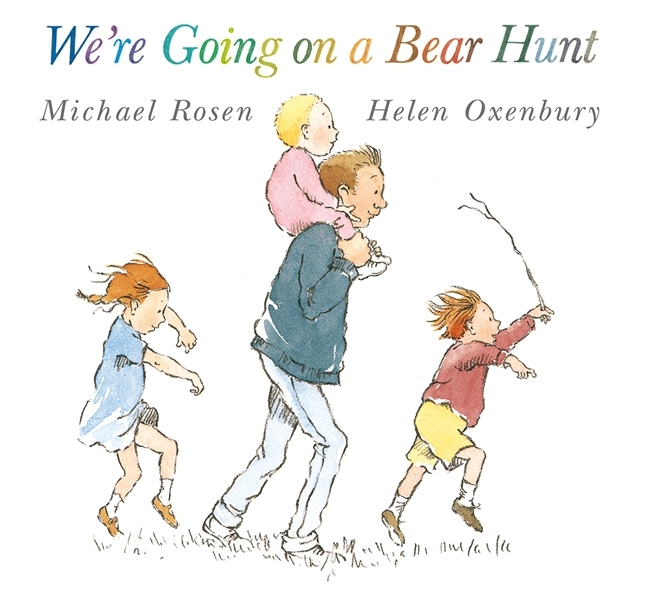 We thought this was a great book to focus on as a lot of children would be familiar with the book and also there were so many adventures to go on so it gave us more scope for creating our pages and gave us so many ideas! Our Ebook allowed children to be interactive as throughout the book we were asking children to join in and do the actions along the way on the adventures. At the very end of the book we gave the pupils an opportunity to create their own obstacle for the family to go through and create their own action and sound to go along with it! This allowed pupils to gain the skill of teamwork as they would have to come together to create a new page for the book. Difficulties that I came across through using Ebooks were that when recording any sounds the classroom was too noisy. So for future use of using ebooks, I will find a quieter area before recording any sounds. Benefits I came across on Ebooks were that they were easy to use and the pupils had an opportunity to make it their own giving them the chance to gain new skills such as creativity and problem solving. I would definitely use ebooks within the classroom as it encourages pupils to keep reading rather than focusing on games and internet usage. It also allows them to use their imagination and come up with their own thoughts and ideas rather than just reading books which are already finished. This would give them an opportunity to test their own creativity. Ebooks are also a more engaging form of reading as they allow to add sounds which engages the pupils to find out what’s going to happen next! I cant wait to use Ebooks in the future classroom! Jones, R.H. and Hafner, C.A. (2012) Understanding Digital Literacies: A Practical Introduction. Routledge.